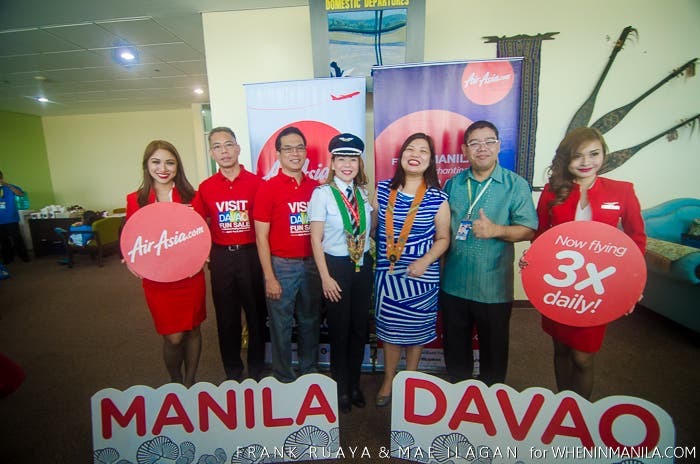 Last March 27, 2015, AirAsia celebrated women’s month with a flight between Manila and Davao today operated by an all-female flight and cabin crew. The flight also marked the return of AirAsia in Davao with 3x flights daily from Manila aside from its current 2x daily flights from Cebu. Manila-Davao maiden flight Z2611 was captained by Giselle Bendong with First Officer Iya Halagueña as the co-pilot. Cabin crew is led by senior flight attendant Blanche Garcia with Anjeline Garchitorena, Jana Trajano, Christine Shane Dinong, Marah Gaa and Mayumi Arima. 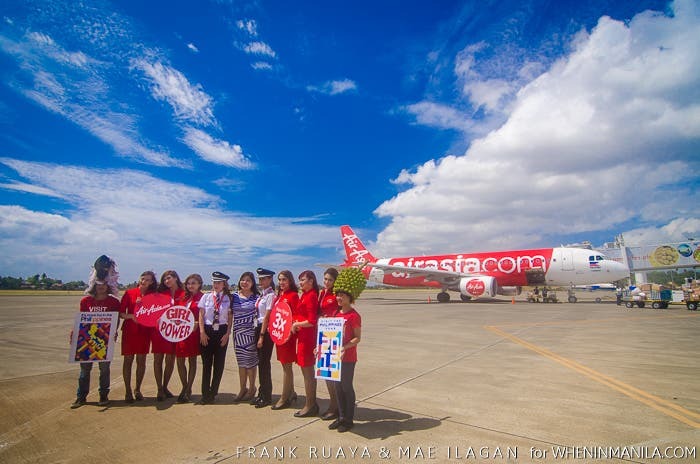 To date, women make up almost 40% of all AirAsia Philippines staff with seven pilots and co-pilots combined, 253 cabin crew and the rest are in ground services working as technicians, mechanics, ramp officers, and in key operational and support areas. AirAsia also celebrated its maiden flight to Kota Kinabalu, Malaysia from Mactan Cebu International Airport today with passengers of flight Z2 131 receiving welcome gifts from Sabah Tourism Board upon their arrival. AirAsia flies to Kota Kinabalu from Cebu every Monday, Wednesday, Friday and Sunday.